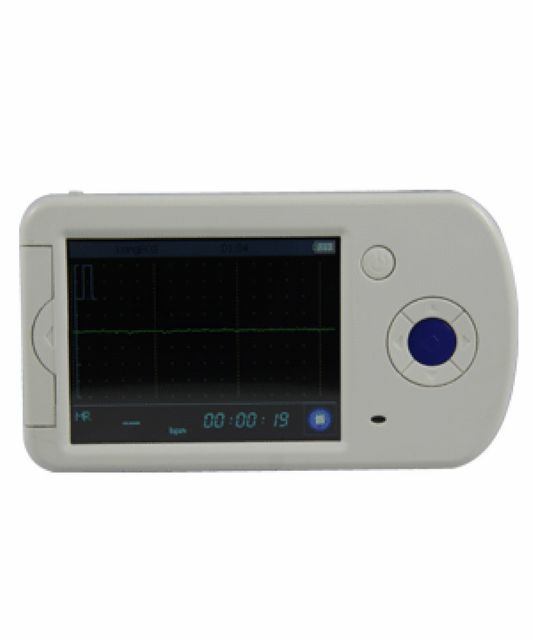 PM80 Portable ECG Monitor mainly faces families and individuals. It can record, analyse and display ECG waveform when consumers hearts are exceptional, catchingexceptional ECG waveform, providing gist for diagnosing. The product isn't belong to medical device, only used to detect ECG momentarily. ◆Adopting built-in electrode can observe single-lead ECG waveform fast. ◆Achieving separate ECG,Oximeter collection and mixed collection. ◆Analyse accurately, display intuitionistic and pellucid. ◆Integrated case manage function, review, delete, storage case. ◆Carry through diversified settings according to user needs. ◆Have divers form system tools, in order to provide more close service to user. ◆Have mass rechargeable li-polymer battery.